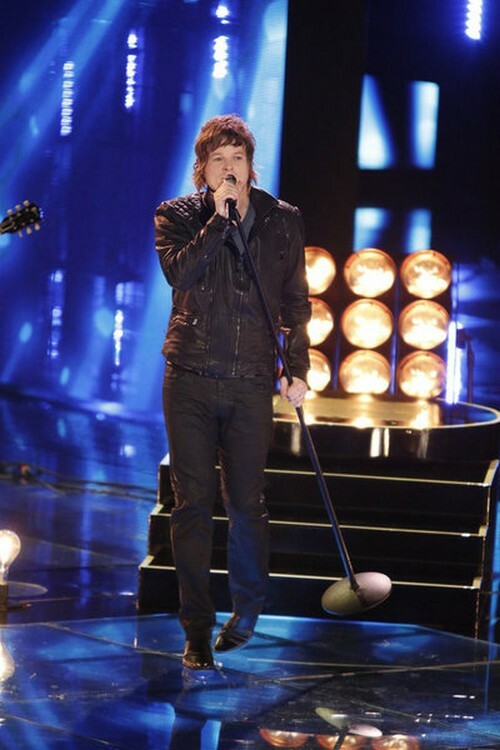 Terry McDermott took the stage tonight on THE VOICE for his Top 6 video performance. Terry sang “Stay With Me” by Rod Stewart. Tonight’s show the top 6 performed live in front of coaches Christina Aguilera, Adam Levine, CeeLo Green and Blake Shelton for America’s vote and a chance to move on to the semi-finals. Judges Comments: CeeLo “When it comes to rock & roll there is nothing like the real thing, I am a big fan of yours”. Adam “I love that song, I love your jacket, you are the most consistent singer and don’t ever judge you being able to sing”. Blake “You have that laser pitch and combine it with passion, you are a star”.